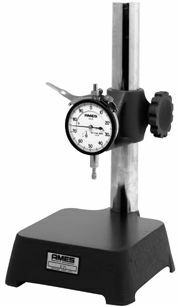 We offer numerous English and Metric Bench Comparator models capable of providing precision measurements through a broad range of thicknesses. Many optional attachments are available and all indicators are interchangeable on all comparators. 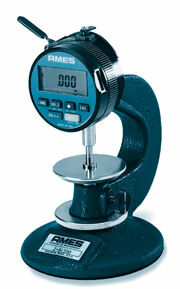 E-mail to receive our full catalog of precision dial and digital comparators. We specialize in customizing comparators to suit the customer's needs, including ASTM and TAPPI specifications. NOTE: All dimensions above are in inches.